SSC Constable exam: The candidates can download the admit cards from the regional websites of SSC. SSC Constable exam: Staff Selection Commission has released the admit cards for Constable (GD) exam in Central Armed Police Forces, NIA and SSF and Rifleman (GD) in Assam Rifles (AR) Examination 2018. The candidates can download the admit cards from the regional websites of SSC. The examination is scheduled from February 11 to March 11, 2019. 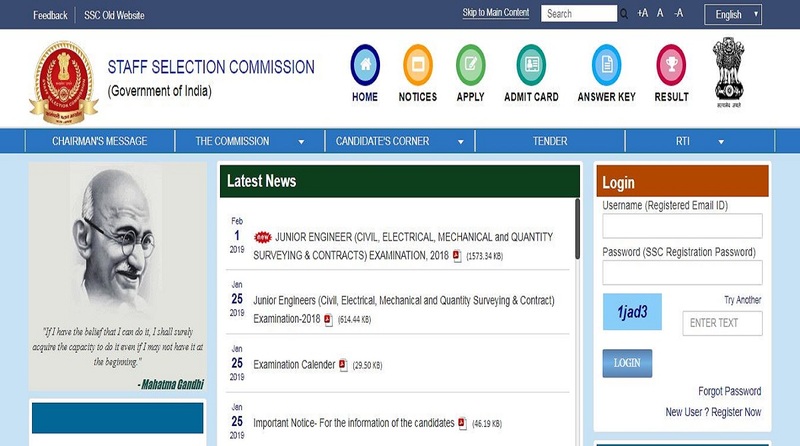 The candidates can download the admit cards from the regional websites of Staff Selection Commission. • On the page that opens, enter all the required details and click on submit. Direct Link: The candidates can click on the link here to download the admit cards. The candidates should go through all the details on the admit cards after downloading and if any detail is incorrect or missing, the candidates should bring it to the commission’s notice.